In today’s ever changing real estate market, it is imperative to have a knowledgeable and experience agent by your side. Kurt and Imelda come highly recommended to successfully close your real estate transaction and truly care about their clients’ needs. Honest, reliable, trustworthy and considerate is how I know Kurt and Imelda as professional realtors.. I have known and worked with them at Century 21 Award and, as colleagues, have the utmost respect for their ability, judgement and dedication. Top of the line realtors in all area's. Very honest and ethical to deal with. You won't find a more focused agent to handle your investment. Kurt & Imelda were such a pleasure to work with and I hope that I get to work with them again soon. Once I explained what I was looking for they knew right away how to approach the task at hand. They were open and honest about the area and what was going to meet my needs and wants. I couldn't have asked for a better experience purchasing a house in an area I was not very familiar with but enjoyed. I have known Kurt & Imelda for many years and had the opportunity to work and observe their work first hand. Strong communicators with excellent customers service skills. Attention to detail and a strong commitment to client's ensuring the best outcome every time. As a short sale negotiator I work with several real estate agents and I must say that Kurt and Imelda are some of the most proffessional agents I have dealt with. They are very detailed and always give me complete short sale packages which makes the process much smoother with no delays. Great Agents! If you are looking for trusted advisors that will work tirelessly to represent your interests and think out of the box, look no further. 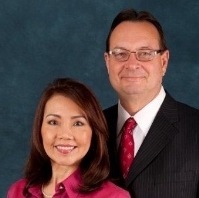 Kurt and Imelda have represented my Wife and I in real-estate ventures and navigated the choppy waters of real-estate investment for some time. I find their knowledge and guidance invaluable and I can always trust that our interests are represented with the utmost integrity and professionalism. It is rare to find a team that works this hard and smart. Kurt and Imelda receive the highest marks and it is a personal pleasure to recommend them. Kurt worked for me in Cargo Sales and is one of the best sales people I've had the honor to work with directly. While Imelda didn't work for me directly, all of my contacts with her were professional and sincere. As a couple, they are at the top of the chart. These are quality people who welcome challenges and do their best to help others. I chose Kurt and Imelda to do a short sale on our house. Our hope was that they could find and investor so we could continue to stay in our home and rent it back. They found an investor and the transaction closed within 60 days and we were able to continue living in the home we like and rent back from that investor. We cant thank Kurt and Imelda enough for the work they did to make this happen for us. Kurt has always been a honest straightforward individual in both business and personal aspects of life. He is a hard working individual who will go out of his way to make sure that situations are handled in a professional manner at all times. He can always be counted on to do the right thing regardless of the circumstances. I highly recommend Kurt and am proud to have worked with him on several occasions during my career.